A pair of updated Spectre x360 15 laptops offer Kaby Lake G or GeForce options. 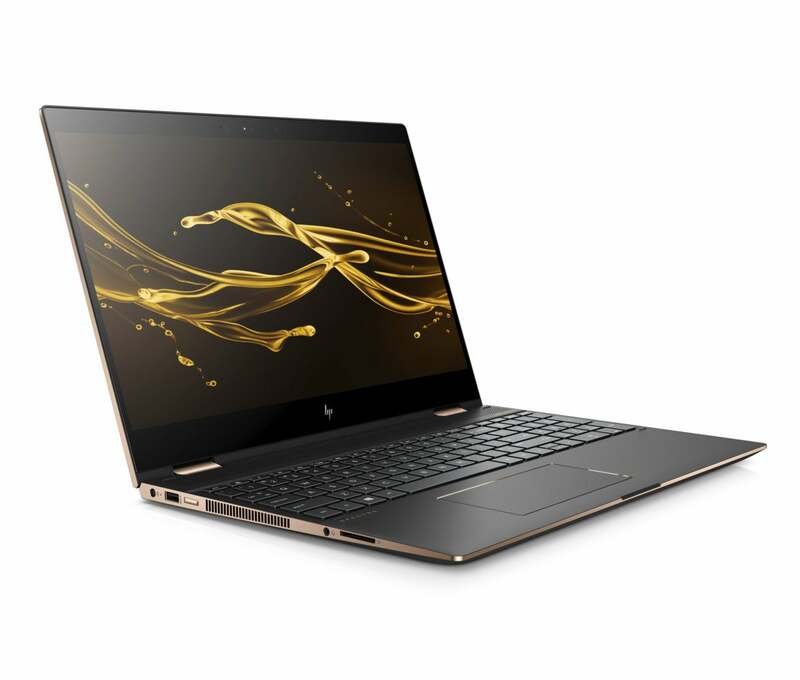 HP's Spectre x360 will offer the CPU option of Intel's Kaby Lake G part, which has the semi-custom AMD Radeon Vega discrete GPU. We look closer at this sleek, sculpted laptop with all the fixings. HP’s Spectre x360 15 is here to help with one of the most vexing questions faced by high-performance laptop buyers: GeForce or Radeon discrete graphics? The super-thin flagship 15-inch laptop gives you both answers: You can pick up an updated Spectre x360 15 with either Nvidia or AMD graphics, along with Intel’s 8th-gen Core i7. 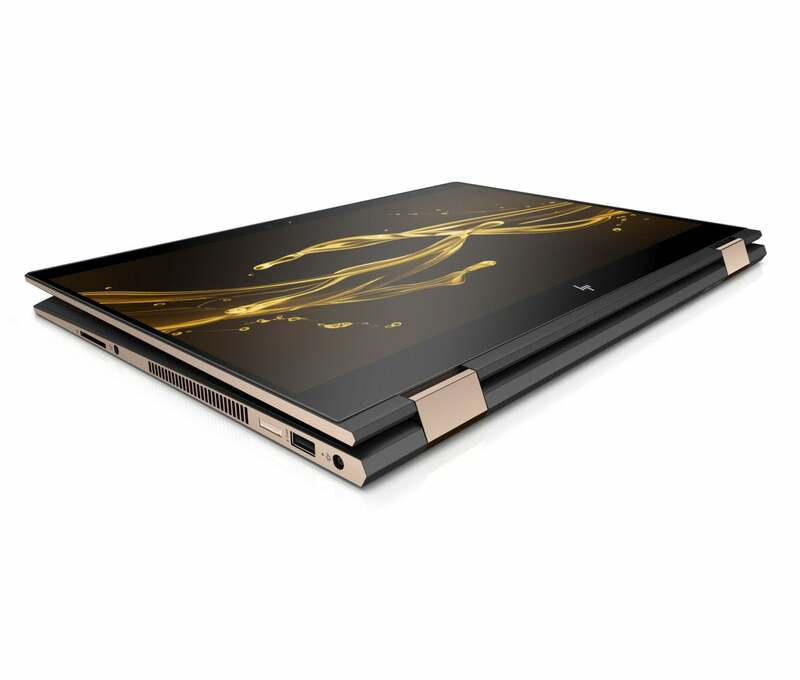 Announced at CES early Monday, the Spectre x360 is slated to ship March 18 and will has a starting price of $1,370. The Nvidia-based Spectre x360 15 is the more conventional of the two. It features an 8th-gen quad-core Core i7-8550U low-power CPU. It pairs with Nvidia’s Pascal-based GeForce MX150 GPU with 2GB of GDDR5. A 4K IPS panel with touch and pen support is included, along with 16GB of DDR4 RAM and a 512GB NVMe SSD. The Spectre x360 15 now comes with a Kaby Lake Refresh chip and GeForce MX150 or a Kaby Lake G.
The second Spectre x360 15 is likely to get people’s blood flowing a little faster. Built on the same basic chassis, it will be based on Intel’s newly announced Kaby Lake G or Core i7-8705G chip. The chip features Intel’s latest quad-core 8th generation cores, but rather than a discrete graphics chip, the Core i7-8705G uses a custom Radeon RX Vega M GL chip. In pure performance, the Radeon may easily beat the GeForce. From our own tests, the GeForce MX150 is probably best used for gaming at resolutions of 1366x768 on medium to high settings. To be fair, Nvidia also doesn’t push the MX150 as a pure gaming GPU. The Radeon in the Kaby Lake G laptop, though, is supposed to be faster than a GeForce GTX 1050 and may be twice as fast an MX150. Both laptops are outfitted with 84-watt-hour batteries. The GeForce model projects a slightly better run time of 13.5 hours, compared to 12 hours for the Radeon version.